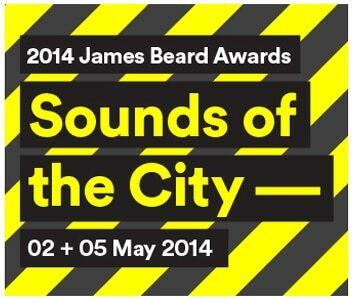 The 2015 James Beard Foundation Awards will be held in Chicago. For the first time since the awards began in 1990, the event will not take place in New York City. Chef Grant Achatz has announced the upcoming menus for Next Restaurant. A modern Chinese menu was introduced in early May 2014, and it will be followed by "Trio 2004" in September. It revisits a menu chef Achatz served in January 2004 that helped lead to the creation of Alinea. Next Restaurant, 953 W. Fulton St., Chicago, IL 60607, 312-226-0858. Jimmy Bannos, Jr. of The Purple Pig was named Rising Star Chef of the Year (along with Blaine Wetzel of The Willows Inn in Lummi Island, WA) at the 2014 James Beard Foundation Awards. Read GAYOT's coverage of the annual awards ceremony. The Purple Pig, 500 N. Michigan Ave., Chicago, IL 60611, 312-464-1744. 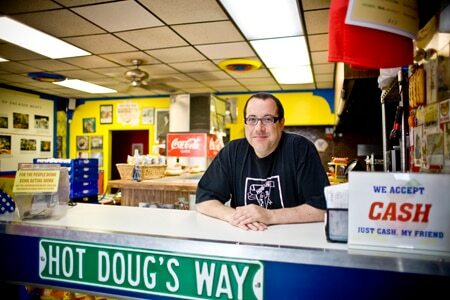 Hot Doug's, one of GAYOT's Top 10 Hot Dog Stands in the U.S., will close its doors on October 4, 2014. Hot Doug's, 3324 N. California St., Chicago, IL 60618, 773-279-9550.